R.I.P. 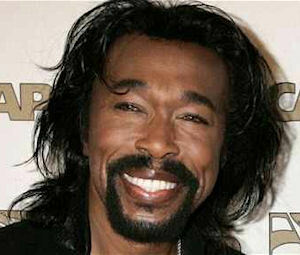 Nick Ashford - You Are A Gift From God! R.I.P. Nick Ashford – You Are A Gift From God! Nick Ashford (As well as his lovely wife Valerie) comes from an entirely different mindset, pedigree and era of singer/songwriter/entertainer. Married for 38 years? Enjoyed a family life that’s intact while lasting so long in the music industry? Never in the spotlight for drama and buffoonery? What gives? What’s THEIR secret? Maybe the so called drugged out, jailbound, promiscuous Illuminati soul selling watered down interchangeable so called celebrities of the present day can learn a thing or do about how to really do it big! I’m speaking the truth and I know for sure that at this very moment half of us are humming “Solid As A Rock” right now and for the next few days after hearing of this great man’s passing! You example of manhood is literally class personified! If I grew up without your gifts to the world, my younger years just would NOT have been the same!